A middleweight fight served as the co-main event of tonight’s UFC Philadelphia when David Branch squared off with Jack Hermansson. Branch (22-5) has gone 2-2 in his second stint with the UFC. 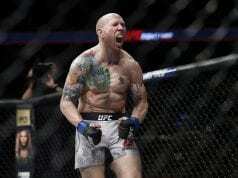 He will be looking to bounce back from a loss to Jared Cannonier at UFC 230. As for Hermansson (18-4). “The Joker” has won five of his seven UFC fights and as of late, he has looked like a legitimate contender. 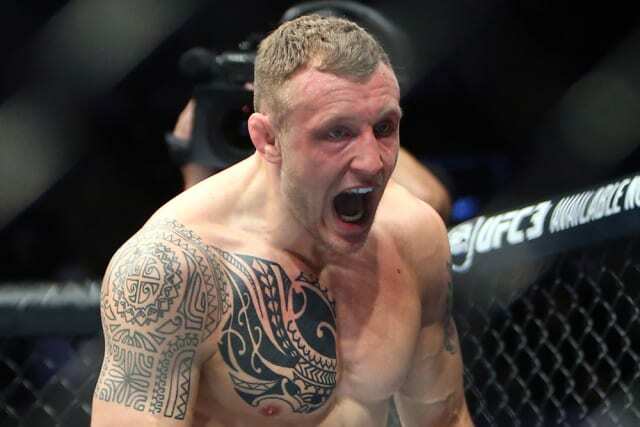 Hermansson will look to take the next step towards contendership on Saturday night. Hermansson moves forward and throws his jab. Branch responds with one of his own. Hermansson sweeps Branch and locks in a choke. That’s a wrap. Wow. Hermansson just submitted Branch, who is a black belt in BJJ.